“Treasures of India” is a 3 Nights/4 Days Journeys of Maharajas Express that covers the Golden Triangle tour itineraries. 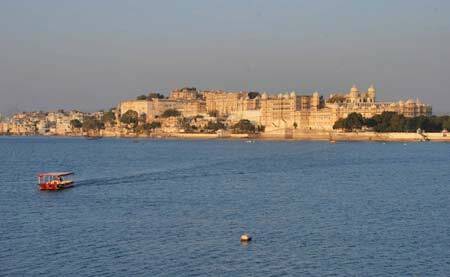 Explore the colorful bazaars and towering majestic forts of Rajasthan. Get the glimpses of elusive tigers in the wilderness of Ranthambore National Park. This tour itinerary includes 5 UNESCO World Heritage Sites that provide insights, wonderful experiences and opportunities for shopping in Agra and Jaipur. This journey has been exquisitely designed to experience the immense beauty of glorious India which is beyond imagination! The train starts the journey from Delhi station. Brunch is served onboard. The train travels towards Agra. Reach Agra by late afternoon. Excursion to Agra Fort for sightseeing and exploration. Overnight stay and dinner onboard. Train halts at Agra. Early morning visit to Taj Mahal and breakfast at any iconic hotel. Return to the train for lunch as the train moves towards SawaiMadhopur. Evening safari at Ranthambore National Park is the highlight of the day. Reach train by night for dinner and overnight stay. Train moves towards Jaipur. Train reaches Jaipur by early morning. 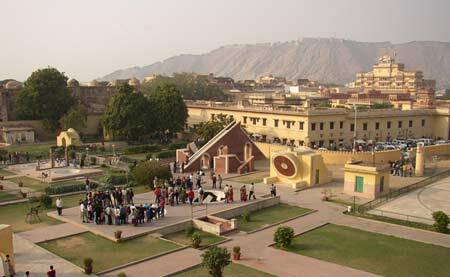 After breakfast, take up an excursion to Amber Fort. Early lunch onboard and after a brief rest, city tour continues. Dinner is served at any prestigious hotel in Jaipur. Overnight stay onboard as you proceed towards Delhi. Train reaches Delhi in the morning. After breakfast, the checkout formalities start. Destinations, Itinerary and scheduled departures may change without prior notifications. To know more details about the prices and bookings of optional activities, please contact the Guest Relations Executive. Guests opting to get indulged into these activities may stay back and join the main group later on. 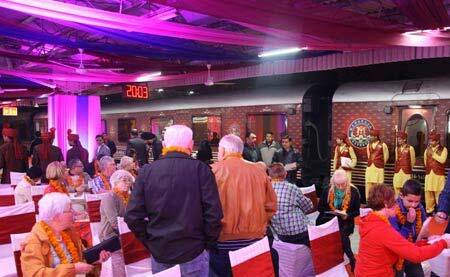 The two itineraries of Maharajas Express: Treasures of India and Gems of India are of 3N/4D. The cost for these itineraries may be reduced by 12%* from the tariff as mentioned, if the guest is availing package for 2N/3D. The guest can disembark at Jaipur after availing the off board services at Jaipur. Visit the page of General Information for the guideline and to know other essential travel related information.